We’ve received a few requests asking about firewall restrictions for the IP addresses of our destination deliveries. (For example, if you’re receiving submissions on your servers via the HTTPS or SFTP destinations). 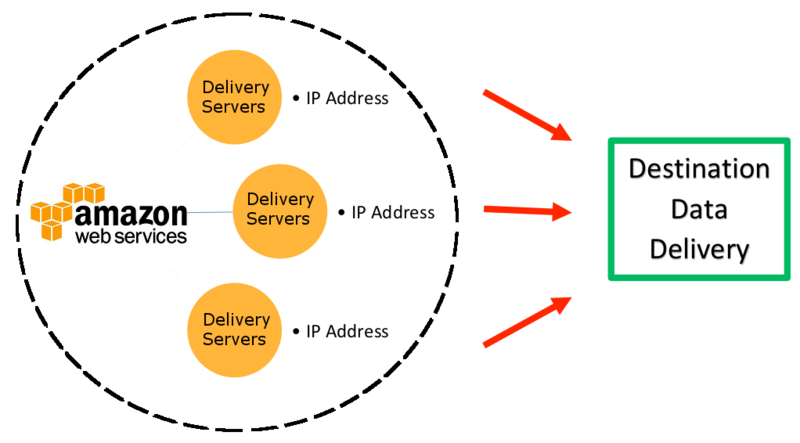 Here we will discuss how Device Magic’s delivery services work, and how that relates to specific IP addresses for those services. Device Magic has multiple worker servers running simultaneously that process our incoming requests/deliveries. Our servers are hosted by Amazon (AWS - https://aws.amazon.com). As our workload changes, we dynamically add and remove depending on the load in which we need to process. Each of these web servers are assigned a unique IP address by Amazon infrastructure when they are booted. Currently our Job server are all hosted in Amazon's us-east-1 region. For the most up to date list you would need to filter this file: https://ip-ranges.amazonaws.com/ip-ranges.json (it is periodically updated by amazon). Here is a list of the ip ranges at the time of writing this article.